Trelleborg is a world leader in engineered polymer solutions that seal, damp and protect critical applications in demanding environments. Its innovative engineered solutions accelerate performance for customers in a sustainable way. The Group has annual sales of about SEK 21 billion, with about 15,000 employees in over 40 countries. In addition, Trelleborg owns 50 percent of TrelleborgVibracoustic, a global leader within antivibration solutions for light and heavy vehicles, with annual sales of SEK 14 billion and about 8 000 employees in about 20 countries. The head office is located in Trelleborg, Sweden. 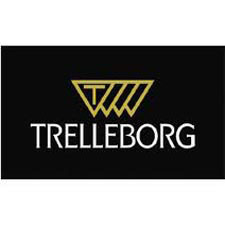 Trelleborg AB was founded in 1905.